Sometime Google Keyword Planner was the best tool for keyword research and demand forecasting. But to achieve high results today, you would better run a special keyword tool to find out what your potential clients or readers are looking for on Google, Bing, YouTube, Amazon, eBay and customize content on your website, account around required topics. More keyword suggestions give more opportunities to grow results in SEO, PPC, content marketing and ecommerce. Use features of Advanced Mode to save your time and get all possible suggestions for your seed keywords. Our comprehensive instrument extracts keyword suggestions from exact source and displays it to you in an easy-to-use interface. To produce long-tail suggestions, Kparser applies the search term, which you define with different letters and numbers, puts it into search box of chosen source and presents keyword suggestions in a split of seconds. It is no secret that in order to get a lot of views on YouTube, it is not enough to create a great video. You have to understand how search algorithms of ranking videos work and in under what conditions. 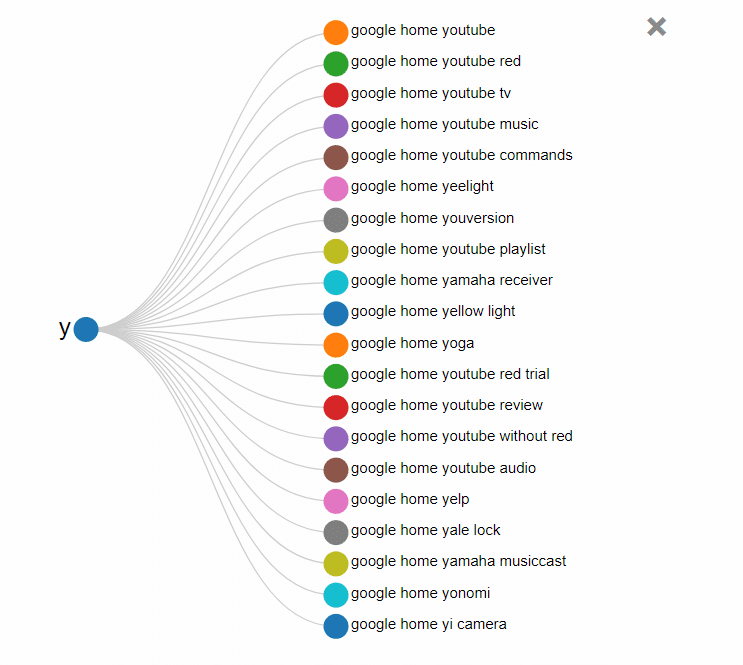 If you used YouTube keyword suggestion tool in the past, you saw proportions between search volume and competition level. 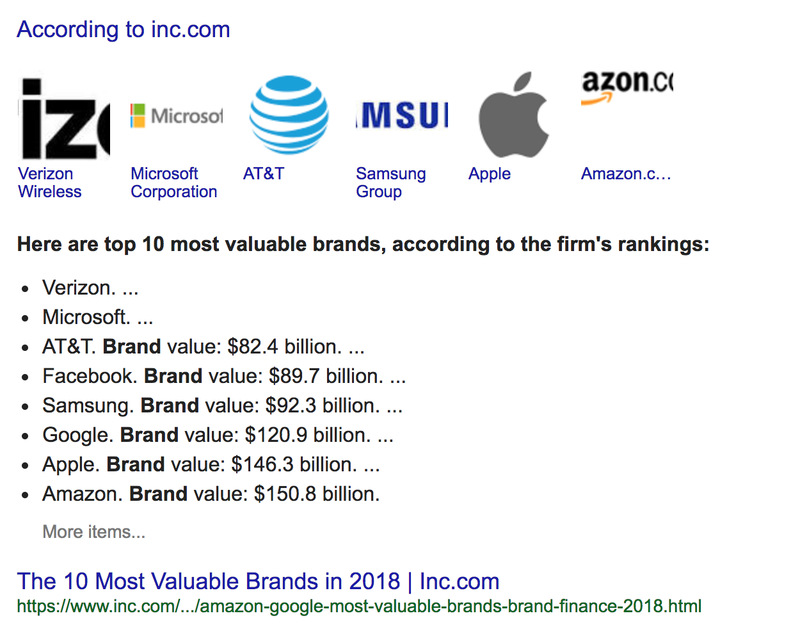 The more search volume is, the higher competition level will be. Thus, if you’ll turn to Kparser and use long tail keywords in the title, description, and tags, you have a chance to reach the top by relevant queries very fast. 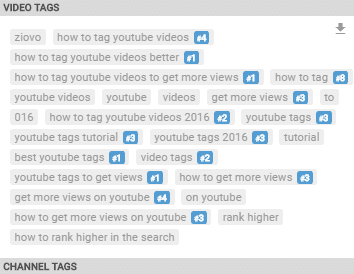 And this is not only one way to use keyword from YouTube. Kparser will help you to generate a list of suggestions for YouTube channel username, channel keywords and video ideas. 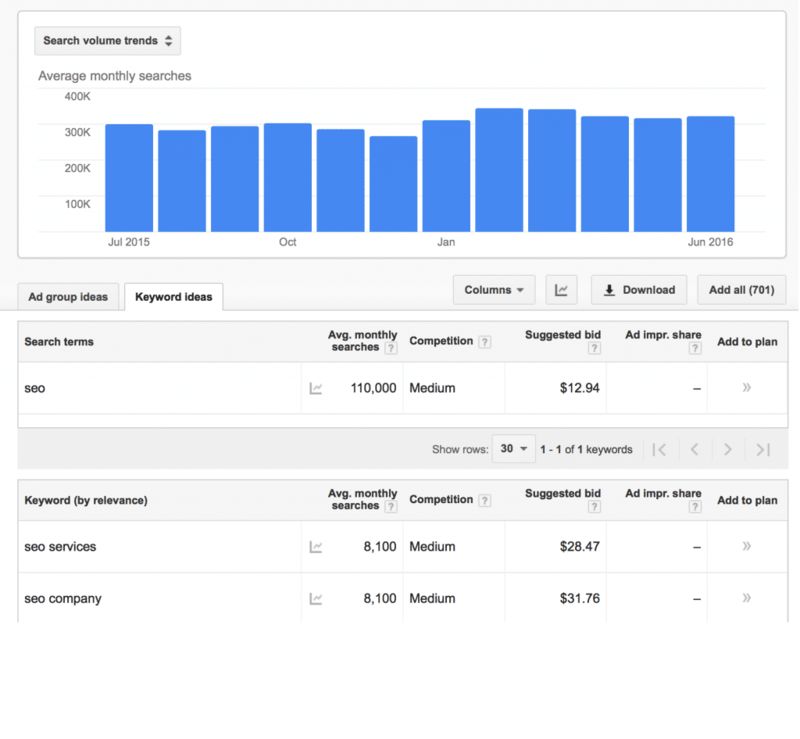 The presented data from Google Keyword Planner is available only for paid advertisers. The keywords that this tool produces might be not very descriptive or too general. 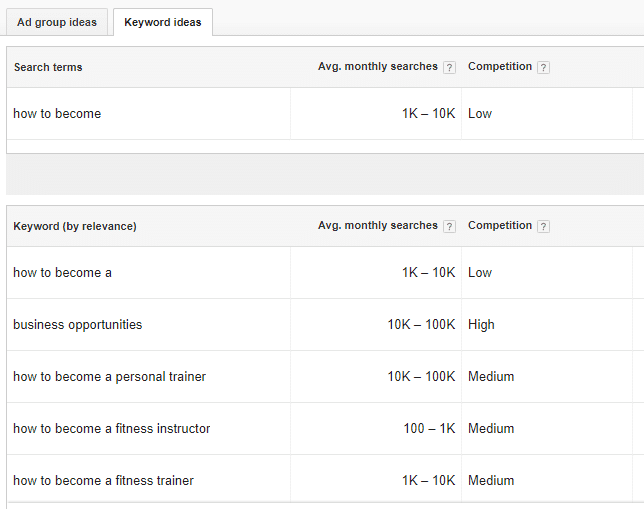 In other words, Google Keyword Planner is barely useful for SEO or content marketing. The best part is that our keyword instrument does not use Google Keyword Planner but a different source – Google Autosuggestion method* to generate new keyword ideas. 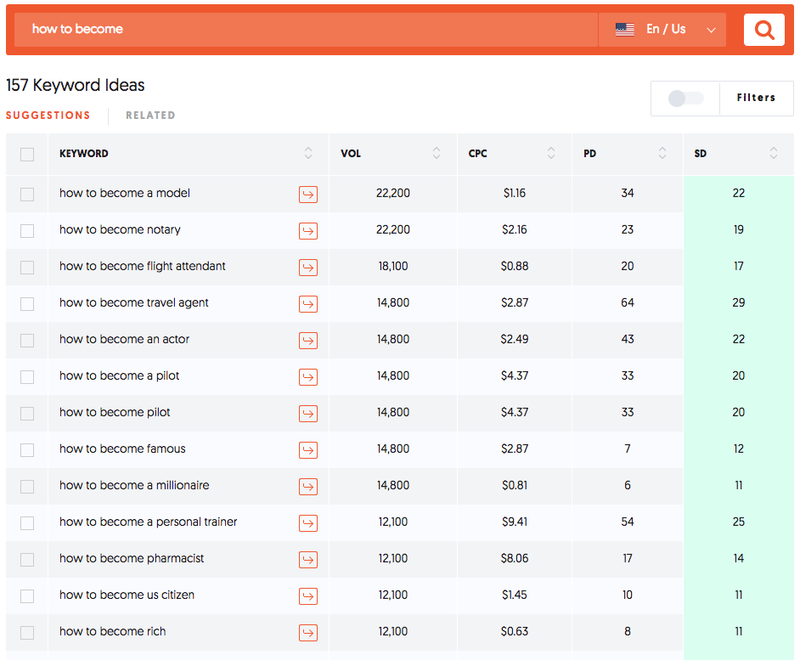 Kparser, unlike Keyword Planner, will not mask valuable long-tail keywords with thousands of monthly searches that can be used to generate content for your website. Combining data from Google Planner, Google Trends, Google Search Console and Kparser you’ll get a full list of keywords for the website or specific page. 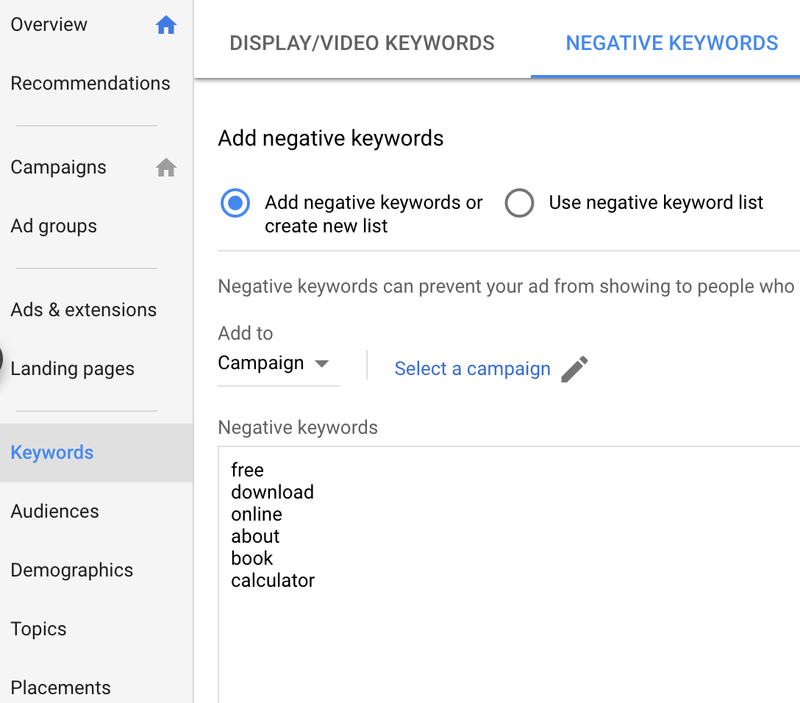 On the other hand you can also create a list of negative keywords for your PPC campaigns only in a few minutes. 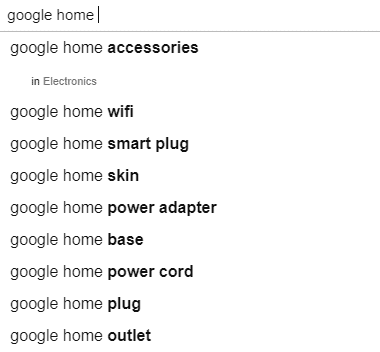 *Autocomplete suggestions are automatically made by an algorithm without any human involvement based on various factors, including how frequently users have typed a phrase. Bing Ads and Bing Keyword Tool interfaces are very similar to Adwords Editor and Google Keyword Planner. Great thing, that Bing search tool shows number of impressions, clicks, CTR and spent money for keywords in addition to search volume and average CPC data. 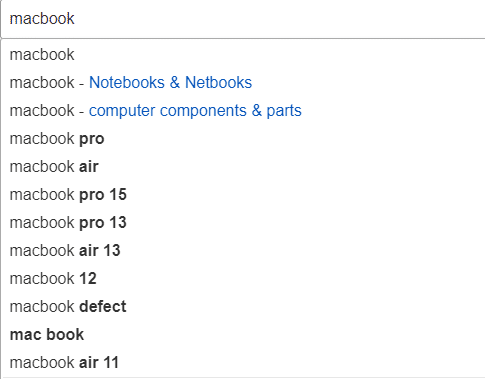 But the another problem is a limited number of suggestions per keyword. In advanced options of keyword research you can choose only 60 suggestions as a maximum. Kparser will help to you find thousands suggestions, that can help as in Bing Ads, such in Adwords and Youtube video optimization. In order to get traffic from the database of the biggest catalog of products, it is critical to understand the Amazon search algorithm to find the desired product by a huge number of inequitable queries. That’s why, Amazon keyword research tool is the best way to optimize your products/goods on your Amazon pages. In general, you should implement the proper strategy by including a comprehensive list of texts, brand name, correct category name, pictures, and video. Then, with the help of Kparser, use the relevant long tail keywords and proper keywords in titles and descriptions. There is a big possibility that you have a natural common sense of how to create a high conversion within your products’ pages. If you promote your products on eBay for a long time, you should understand the keywords impact on rankings and general readability. However, imagine how your selling expenses and annual income may change if you increase ranking results using easy eBay search tool to gather the most valuable keywords for own listings. Kparser gathers keyword suggestions using Google Play Autocomplete algorithm. You have no opportunity to estimate the volume of some keywords in a time scale. But you see exactly, which phrases suggest Google Play for users. 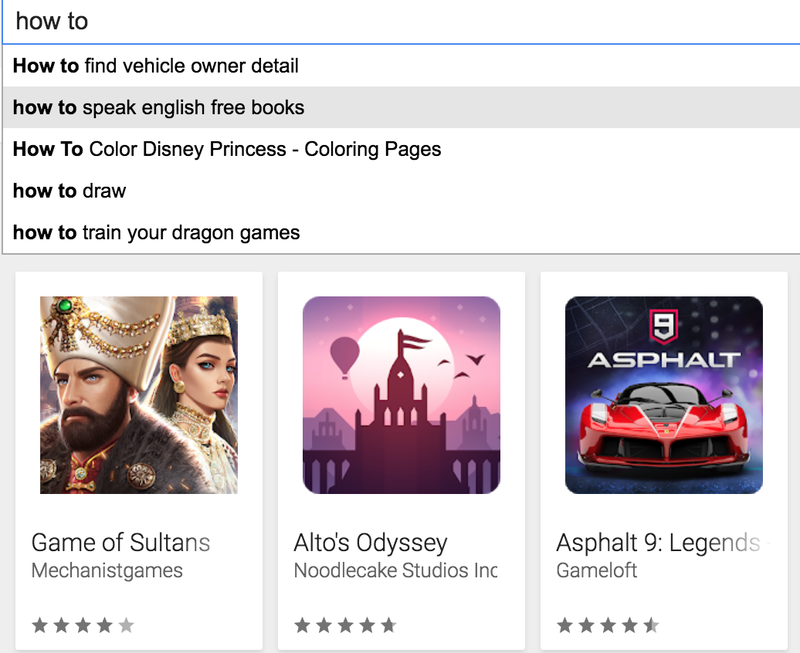 Use Google Play keyword tool to research any niche and improve app store optimization by writing good titles and descriptions for your apps. 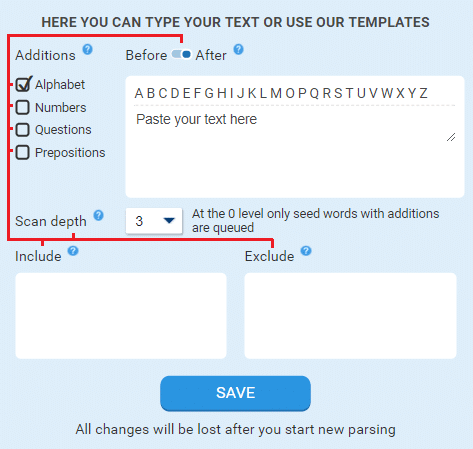 Use Kparser as content idea generator in combination with Copywritely. Thousands long tail suggestions from Kparser will help to create a huge list of articles, posts for your blog or magazine. And Content Task Generator module inside Copywritely will help to research competitors’ keywords and create complete texts by your topics. You can use Kparser as negative keyword generator. It helps to find a big list of negative keywords depends on specific query. Generation of thousands of long tail keywords is one of the fastest methods to gather a comprehensive list of negatives for ad group, campaign, account. Use Kparser’s left table to mark all words you find as negative keywords and press ‘Copy Negatives’. One click and all words are in your clipboard, ready to be added to Adwords. Google suggestions is a great source of ideas for domain names. So, you can use Kparser as a domain name generator and business name generator too. Gather thousands keywords and choose easily remembered, spelled, written and unique from them. Answer the public has good visualization and it helps to generate content ideas very quickly. But Kparser has more sources for keyword research, more opportunities to filter and sort results, more actual information due to real time suggestion process. 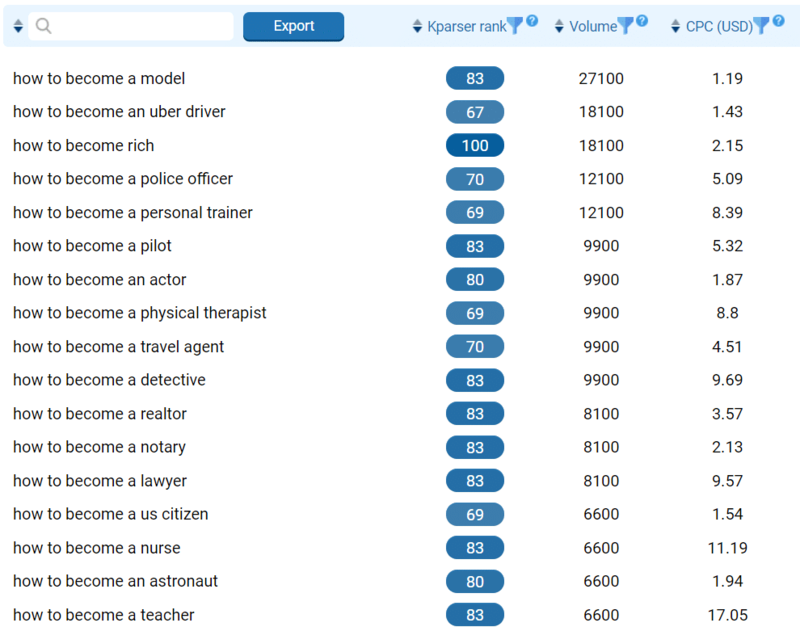 We have compared Ubersuggest and Kparser using keyword “how to become”. 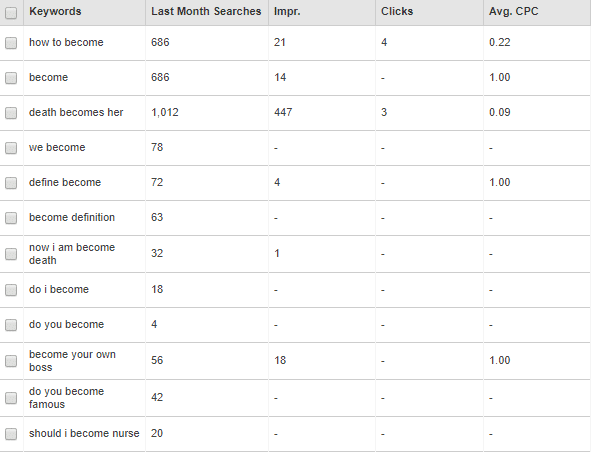 Kparser collects 6x more keyword ideas. In addition our tool works in real time. So you always have actual and relevant keyword list.